Hey! 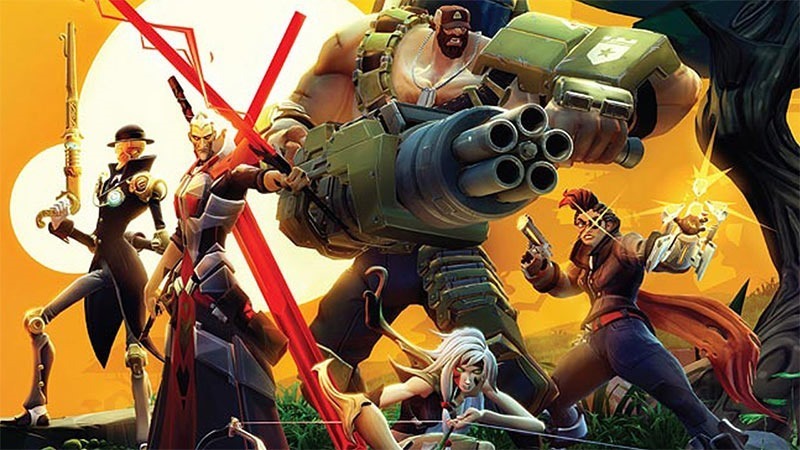 Battleborn looks like fun! There are more than enough MOBA’s on this planet, and more than enough shooters. There probably aren’t enough games that combine the two though, which is where Gearbox’s latest games – Battleborn – comes in. We’ve seen a trailer for the game before, but here’s a demo of the 5 player campaign from Gearbox, showing how the characters and the game will work. I have to admit, it actually looks really good. I was immediately dissuaded just based on the MOBA connection, but this looks like it’ll be pretty fun multiplayer action; harkening back to arena shooters a little, only with a bit of levelling up. There are different factions, and a number of characters – each of whom work differently and have unique abilities. It seems to have a little of Borderlands’ aesthetic and some of the humour too, making it just that little bit more interesting to me. “Battleborn’s story is set in a distant sci-fi fantasy future, where all but one star in the universe has gone dark at the hands of the vicious Varlesi. A single solitary beacon of hope remains – the last star, Solus. In the wake of the chaos, different species of survivors take refuge in the Solus system and form five factions based on their beliefs. It’s coming to PC, PS4 and Xbox One next year.